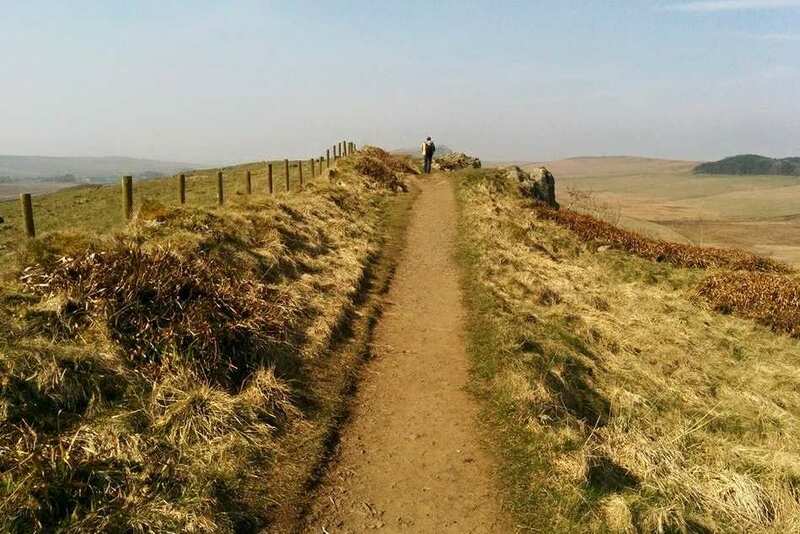 After I joined Contours, I was keen to get out to build on my trail knowledge and walk another UK National Trail. 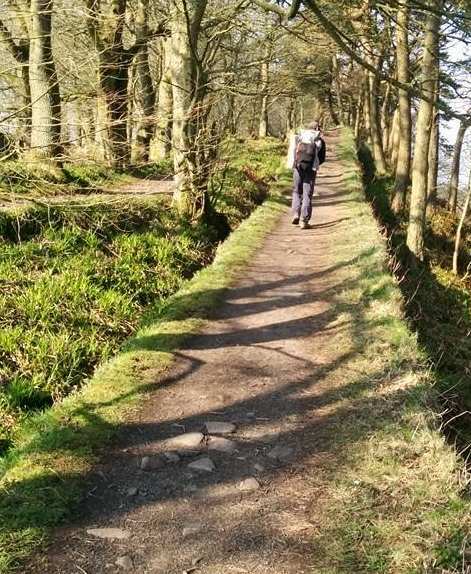 One of our best-selling holidays caught my eye: Hadrian’s Wall Path. 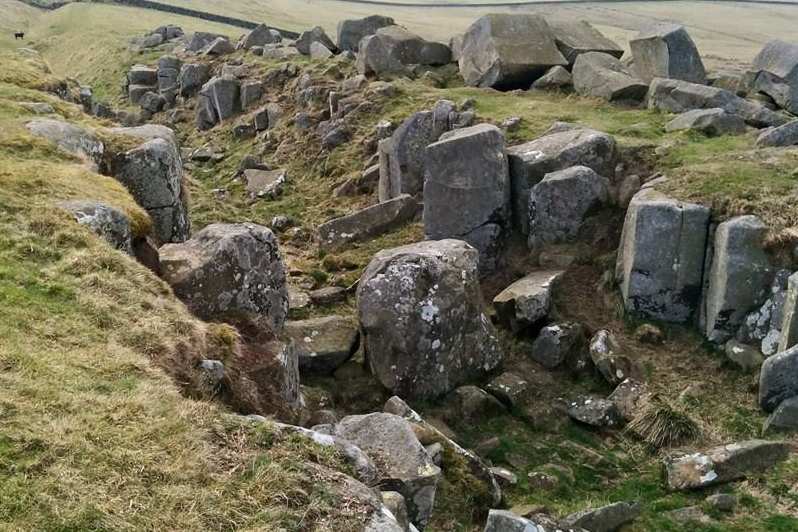 It spans northern England from coast to coast, following the World Heritage Site of Hadrian’s Wall. I could walk all 85 miles during a week’s annual leave. I arrived in Newcastle by train and caught the Metro to Wallsend to walk the first six miles of Hadrian’s Wall Path. 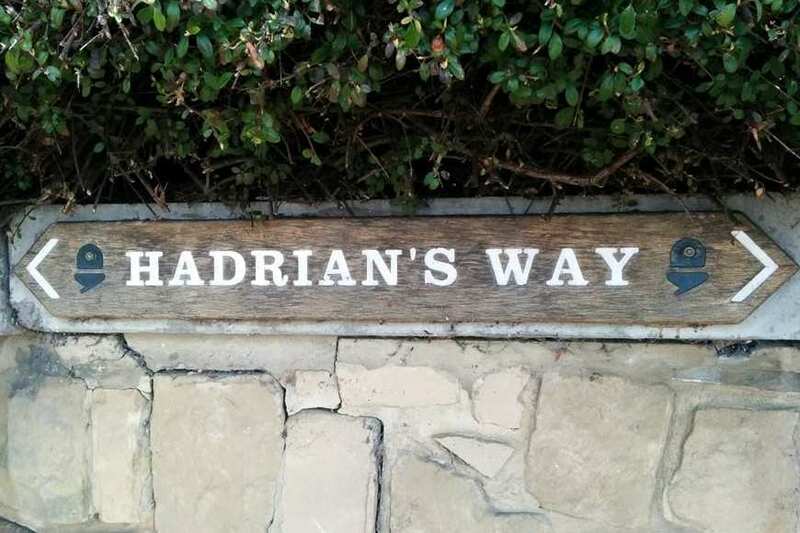 Known as Hadrian’s Way, this leg of the trail would bring me back to the city centre. Past a small section of original wall at Wallsend, the trail winds through the industrial landscape and suburbs of Newcastle. 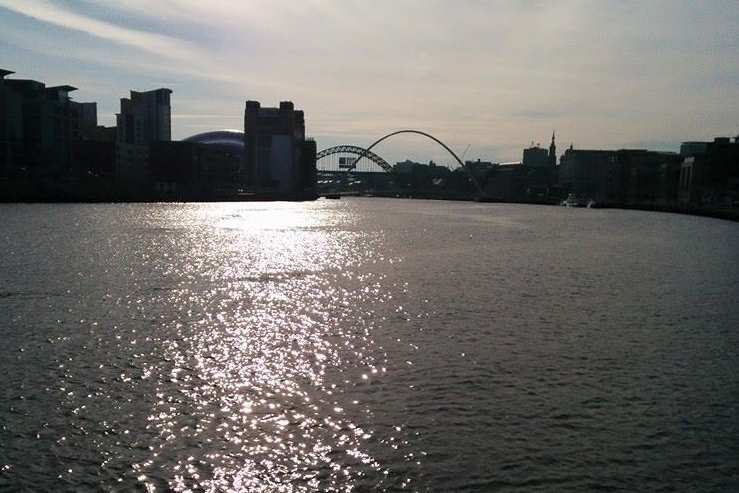 I enjoyed a pleasant walk along the quayside where I passed a pedestrian and cyclist tilt bridge, nicknamed Blinking Eye Bridge. 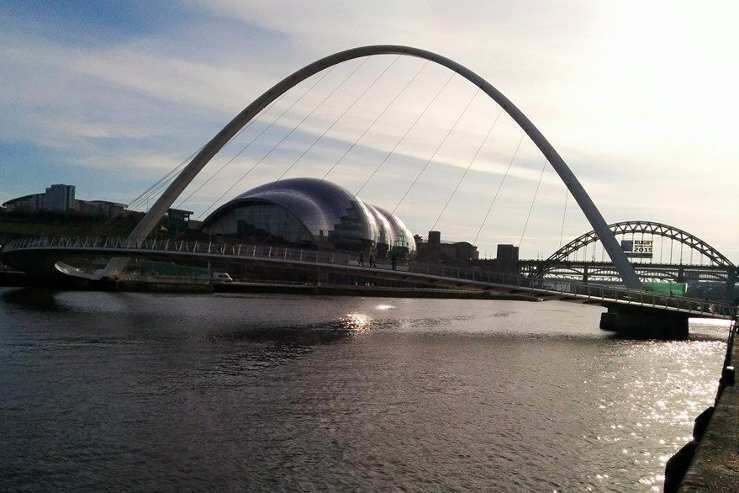 Its official name is the Gateshead Millennium Bridge. The first half of my 17-mile second day was easy walking along flat, surfaced paths following the River Tyne out of Newcastle. 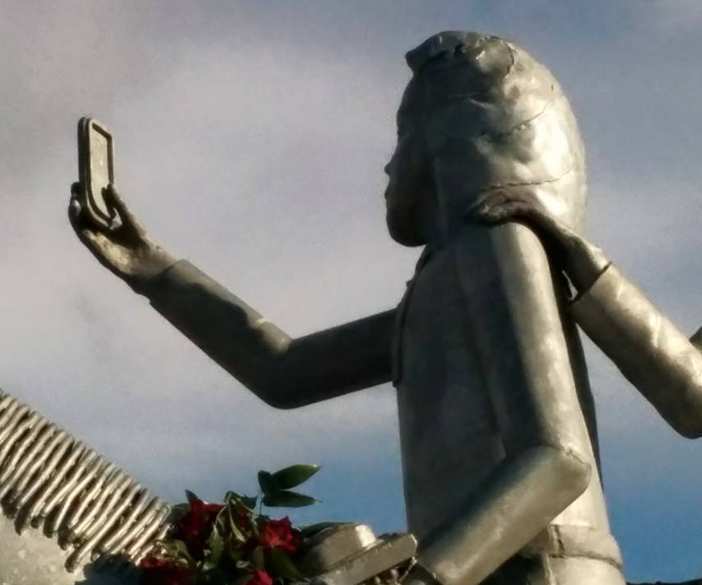 I passed an impressive sculpture representing the past, present and future (children taking a selfie!) at Scotswood in memory of the 38 men and boys who lost their lives in a pit disaster in 1925. Beyond Tyne Riverside Country Park, the trail finally departs the riverside. It heads away from the industrial landscape of Newcastle towards Heddon-on-the Wall, home to the first decent section of Hadrian’s Wall. After Heddon-on-the-Wall, the trail continues through fields alongside a long, straight road — as you’d expect from the Romans! This is the course of the old Roman Military Way. On my third day, another 17-mile day from East Wallhouses to Sewing Shields, the trail grew more historically interesting. Ditches are visible in the fields along the line of the wall here. 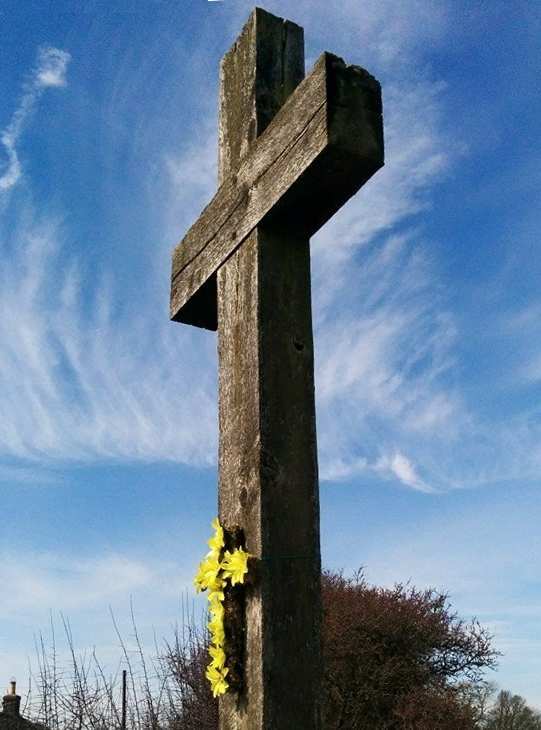 At the old battle site of Heavenfield by St Oswald’s Church, I passed a large oak memorial cross on the way towards Chollerford. There was plenty of cuteness factor along the way, too. 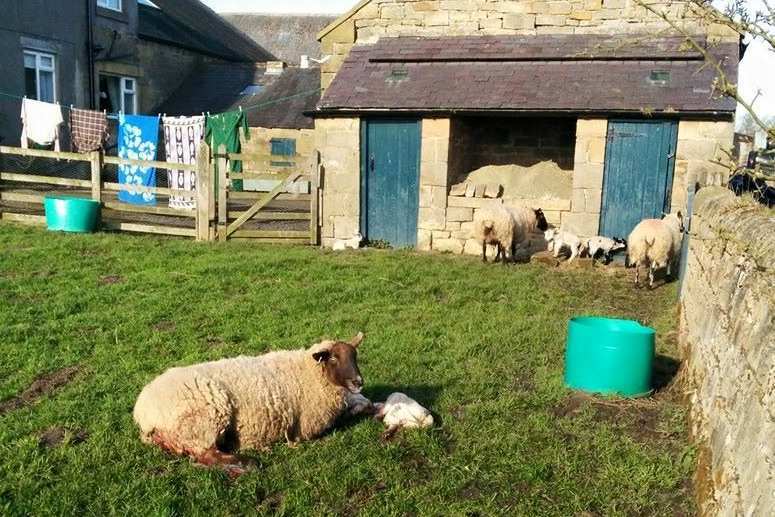 Being spring, there were plenty of newborn lambs around, and I barely missed one being born at a farm at East Wallhouses. Just past Chollerford, at milestone 30, I passed through an area known as Limestone Corner. Its wall ditch is at the most northerly section of the wall. 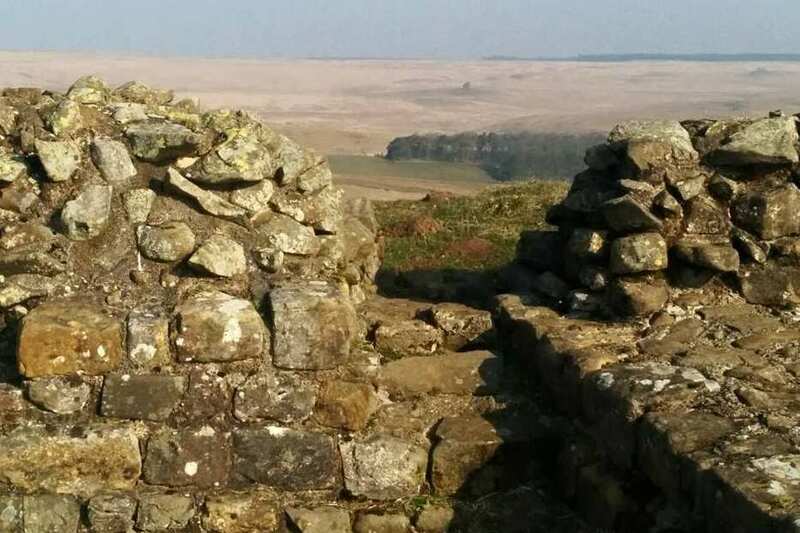 For the next 20-30 miles, I was to experience the best and most plentiful sections of the Wall, including an abundance of turrets and milecastles. 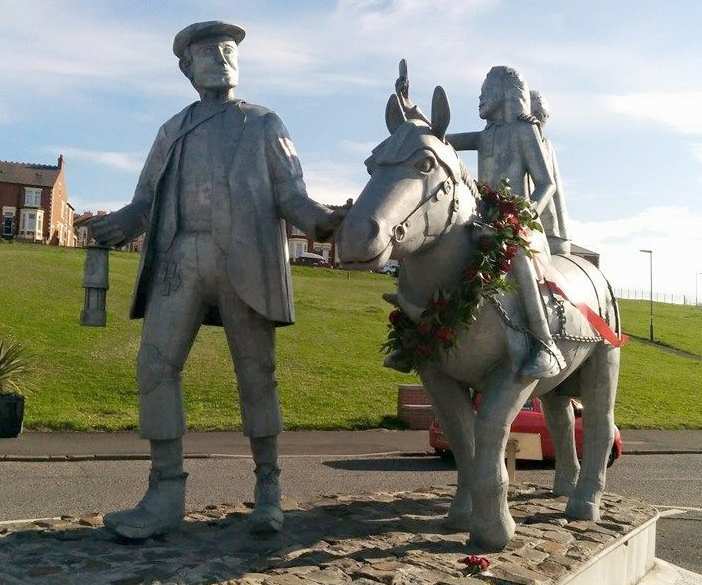 Still walking parallel to the old Military Road, not far past Limestone Corner, I reached the site of Brocolitia Roman Fort and the Temple of Mithras. The god Mithras was a cult god of Roman soldiers and is referenced all over the wall. Another 2.5 miles brought me to my day’s end at Sewing Shields. From here, the trail finally leaves the Old Military Road behind. My fourth day was 19.5 miles of walking along the most impressive sections of the Wall, covered in Contours’ highlights tour. 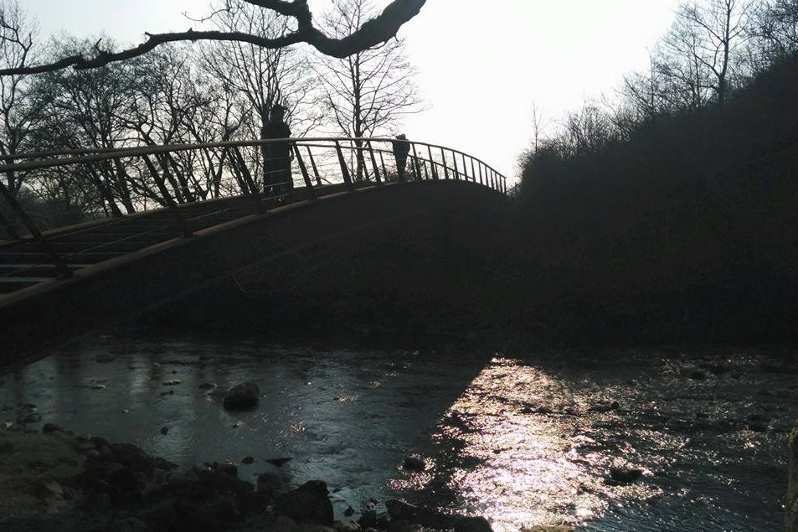 It was a tough day of walking, but the gorgeous sunny weather spurred me on. I encountered long stretches of wall and beautiful scenery, but it was a bit of a rollercoaster ride with lots of ups and downs. 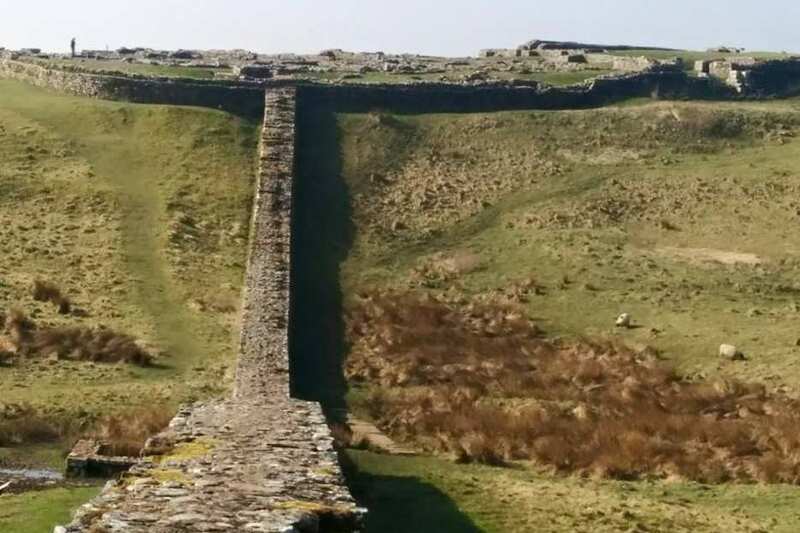 The trail passes right behind Housesteads Roman Fort, where there is a small section of the Wall. It’s the only section of Wall you are actually allowed to walk on top of. The view of the wall and fort as I approached Housesteads Fort was very impressive. This stretch of wall towers high and is well maintained, as you’d expect: English Heritage minds this section of the site. If you’re walking the wall, you can enter the fort for free. 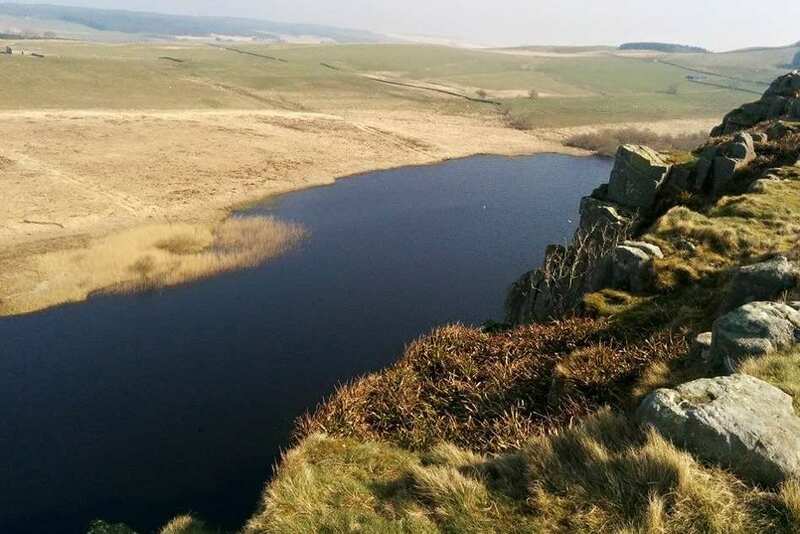 After Housesteads I headed towards Highshield Crags, where the trail passes high above Crag Lough lake. There are amazing views from here. 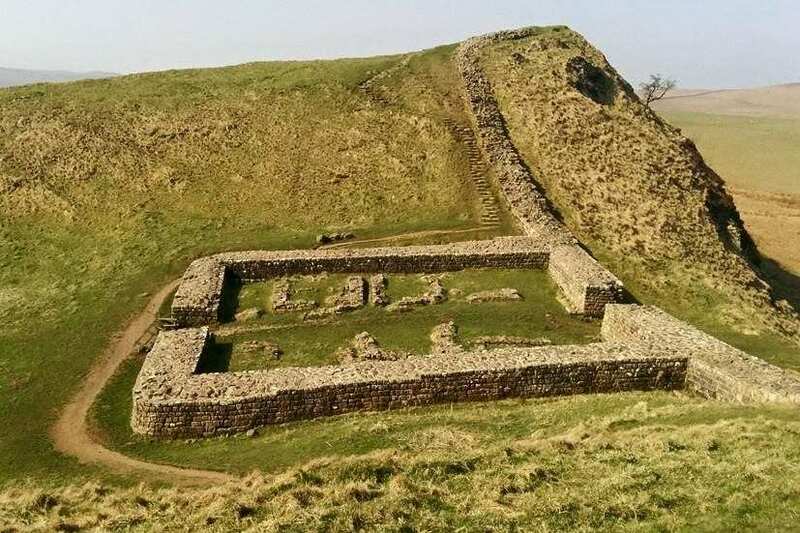 Shortly after, the trail descends to Sycamore Gap, the most famous and most photographed spot on Hadrian’s Wall due to its connections with the 1991 film Robin Hood Prince of Thieves, starring Kevin Costner. The lone sycamore tree won English Tree of the year in 2016. It’s often called the Robin Hood Tree. I continued on my rollercoaster ride, admiring the views and following the wall as it encompassed the rolling landscape. More crags and many more turrets and milecastles bordered the trail as I headed towards Greenhead. 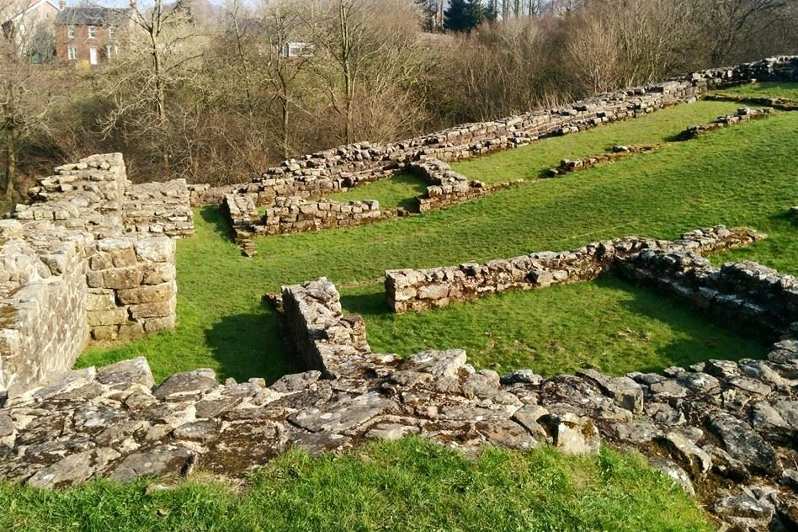 To every Roman mile, the Romans built two turrets — and one milecastle, of course! These Roman miles are equivalent to 0.92 miles (1.48km) today. The turrets and milecastles would have been manned by Roman soldiers on watch. 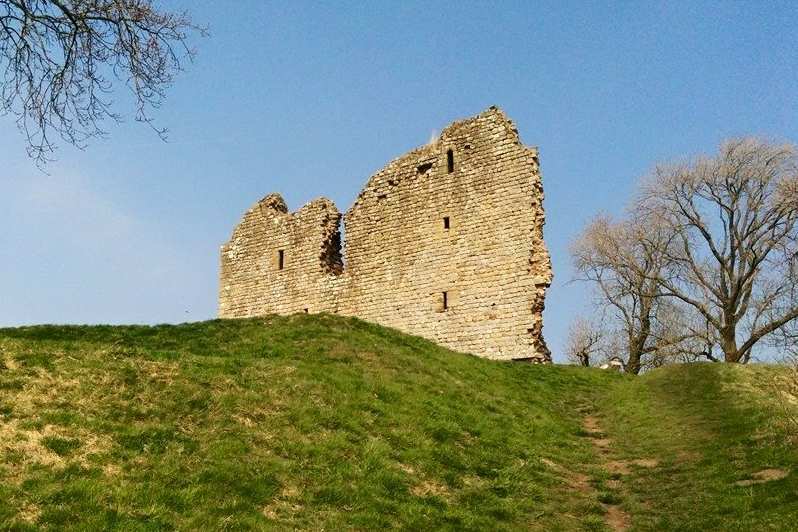 At Greenhead, I passed the remains of Thirlwall Castle, a 12th-century castle built by the Thirlwall family from remnants of Hadrian’s Wall. 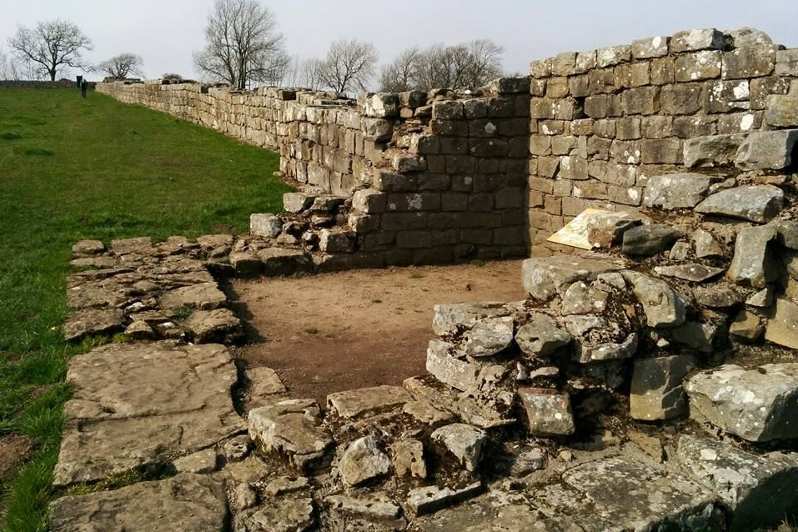 A few miles further on, just past Gilsland, I crossed the River Irthing and passed Birdoswald Roman Fort before arriving at Banks, my destination for the day. My penultimate day of walking struck a bit of a contrast. 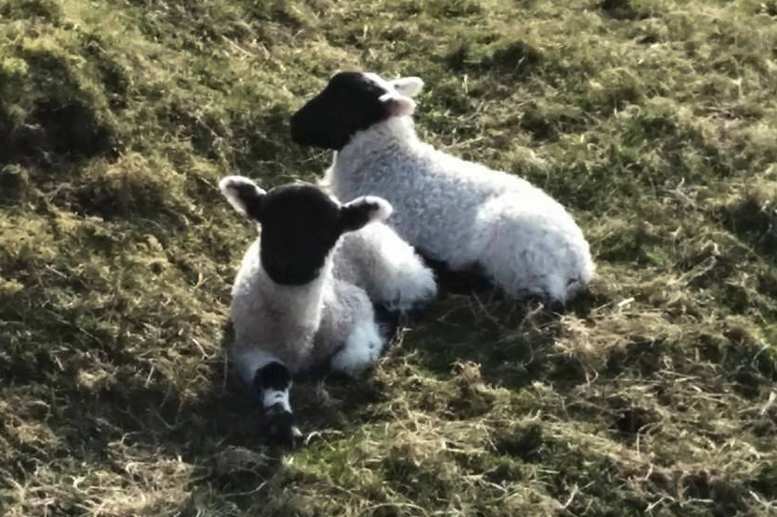 It was 19 miles, mainly across farmland this time, on another warm and sunny April day. The remains of the wall and turrets lingers at Banks, and for the first couple of miles until Walton, but then all visual evidence of the wall just about disappears. 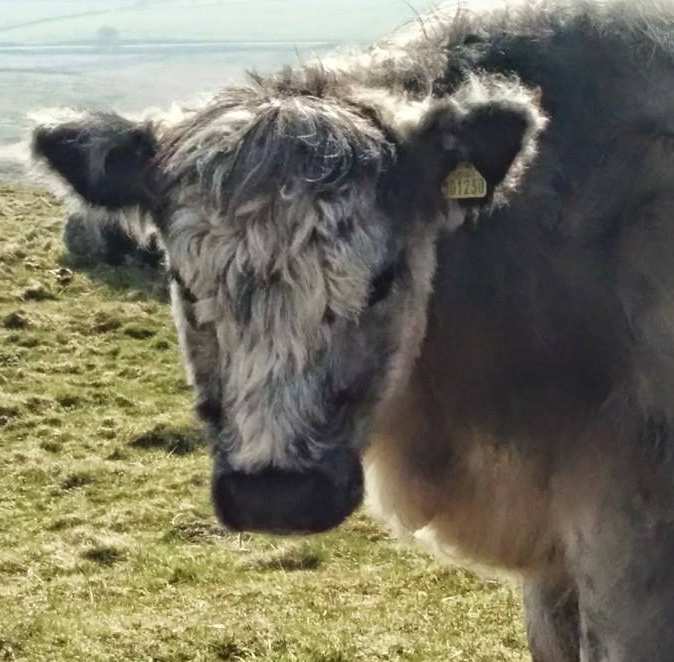 I passed cute fluffy cows still with their thick winter coats. The trail cuts through Crosby-en-Eden, where I stopped for a drink at the village pub, then continues on through farmland and briefly follows the River Eden to reach Carlisle. My last day and the final 10 miles of the trail was easy flat walking. 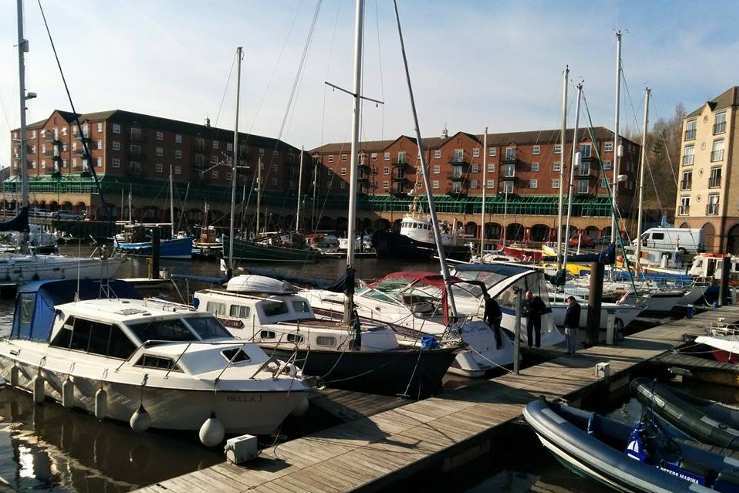 I left Carlisle along the banks of the River Eden, aiming to get to Bowness-on-Solway in time for lunch. It was a colder day, warmed by sunny spells. 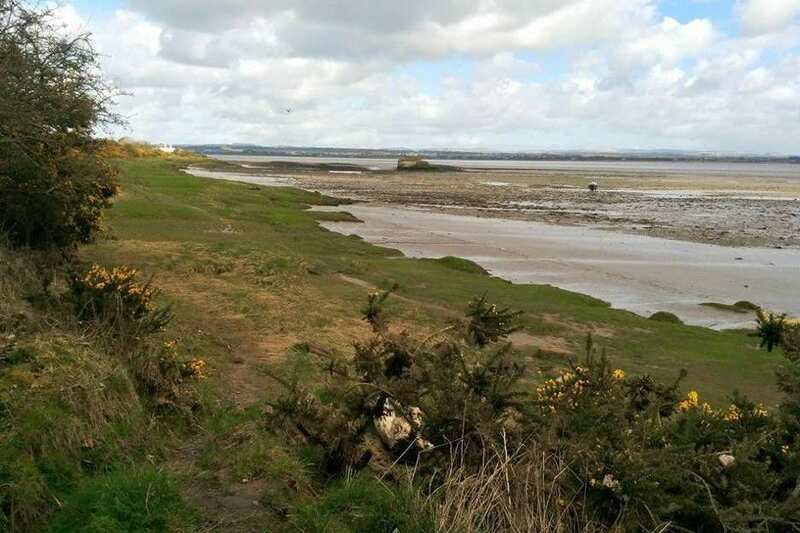 Leaving the River Eden behind, the trail wanders along a quiet road across the flood plains of the Solway Firth estuary. 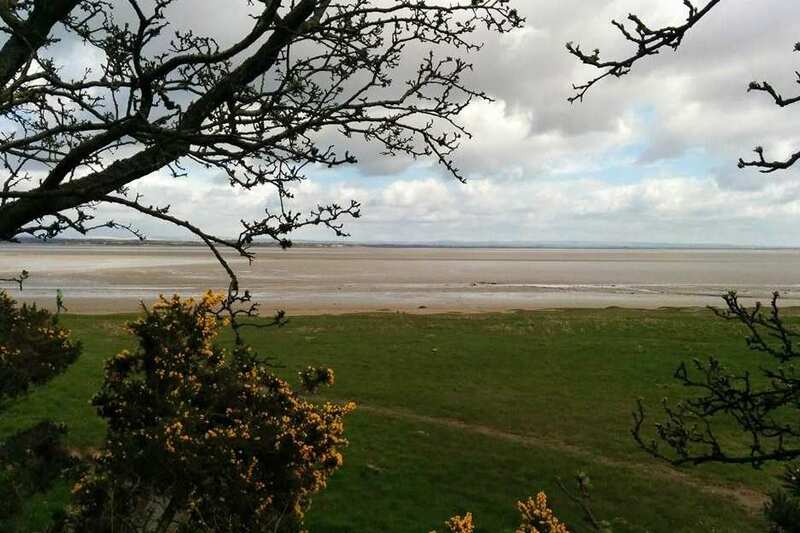 I enjoyed great views from here across Solway Firth itself. 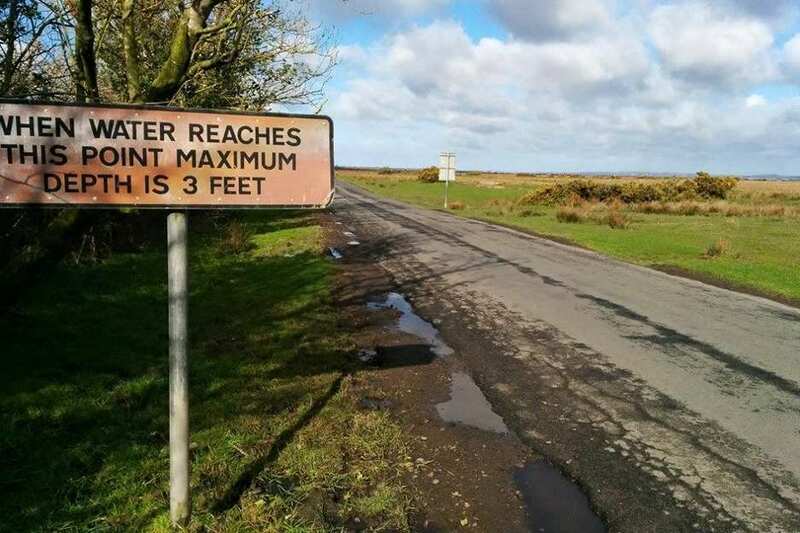 A bit of a worrying sign showed how high the water could get — three feet deep! 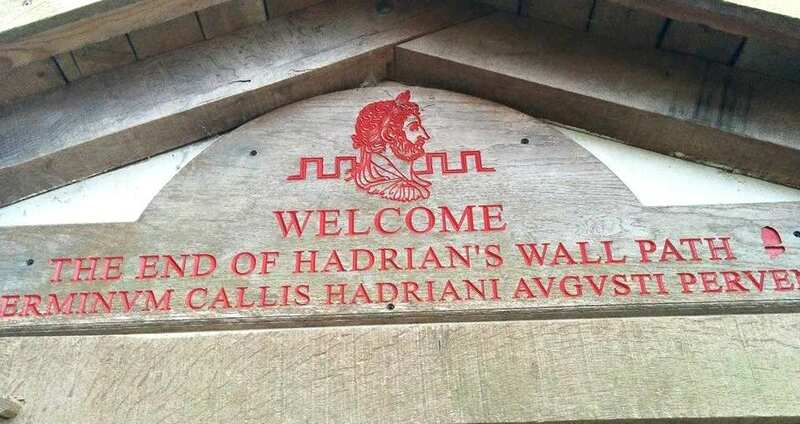 This must be in extreme circumstances, as I’ve never heard of it affecting Hadrian’s Wall Path walkers. Departing the roadside, Hadrian’s Wall Path wandered alongside the estuary to Bowness-on-Solway and the end of the trail. After a well-earned and celebratory lunch in the local pub, I caught the bus back to Carlisle and then the train home. 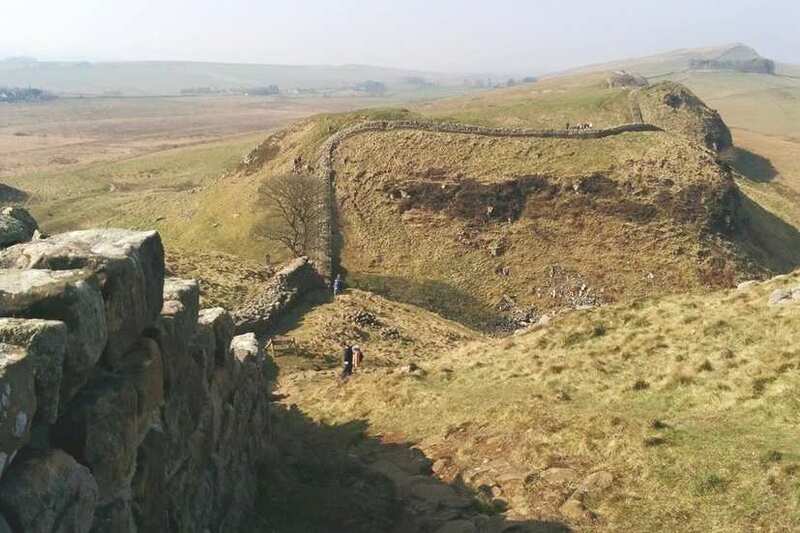 Hadrian’s Wall Path lived up to all my expectations. A trail of great contrasts, plenty of history, wildlife and amazing scenery. I could now see and appreciate why it is so popular!